Would you like to receive 10-30 hours of free care each week paid for by the VA? 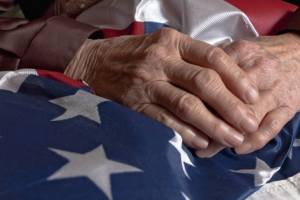 Most Veterans are not aware of the eldercare benefits available through Veterans Health Care, including Veterans Pension, or more commonly known as “Veterans Aid and Attendance Benefit”. You may be eligible for this unique benefit via the Veterans Administration (VA). The benefit provides 10 – 30 hours of FREE non-medical care per week to help Veterans and surviving spouses with Activities of Daily Living (ADL) in their home. There are currently over 2 million Veterans who the VA believes could qualify for this benefit and only 25% of them are currently taking advantage of it. UPLIFT HomeCare, with the assistance of our team of Accredited VA Benefit Agents can complete your application for the VA Aid & Attendance benefit and allow you to receive up to 30 hours a week in-home care ABSOLUTELY FREE. We can start care immediately while waiting for the application to be processed with the VA.
Once your benefit is approved with the VA, our team of Accredited VA Benefit Agents keeps working for you by continually monitoring your home health care, ensuring that you are in VA compliance for medical expenses, and providing you with community resources for additional assistance.